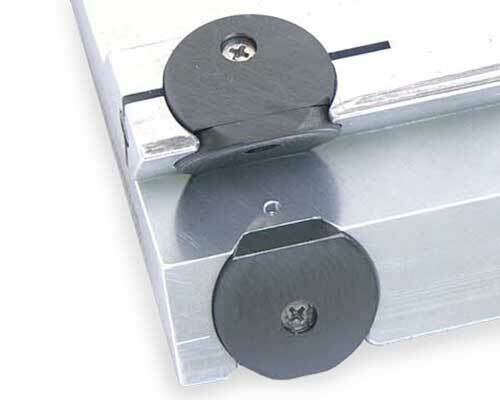 Velmex dovetail stages have been used in a myriad of environments from outer space to vacuum chambers. Modification of the assembly depends on the hardness of the vacuum and other specific requirements. Material substitutions can be made for specific applications. Two areas of concern are heat and contamination. Heat from friction between the lead screw and nut cannot dissipate into the surrounding area. This is of particular concern for motor-driven stages, if the lead screw RPMs are high and the unit is in continuous operation. Substituting a brass or Vespel drive nut may be necessary. In addition, motor induced heat can also be a problem. Contamination is another issue. Sources of contamination include Delrin drive nuts and thrust bearings (UniSlide Series A15 and some A25 only). For light or medium duty, all stages can be run without lead screw and dovetail way lubrication which precludes contamination. A small amount of vacuum compatible lubricant (Fomblin® Y VAC3) is applied to the thrust bearings. Velmex can supply assemblies that are free of grease and oils. However, for critical applications the assemblies should be cycled in an outgassing chamber to remove residual contamination. The table below lists outgassing characteristics of Rulon PTFE and Delrin. Rulon bearing pads are attached with a thin layer adhesive which is oven cured for 90 minutes at 325 degrees Fahrenheit. The amount of material used is small and the bake out helps to minimize outgassing. *Data from NASA Reference Publication 1124, rev. 3, 1993, Outgassing Data for Selecting Spacecraft Material. Data sheets and/or information links for each of the materials can be found on our Compliance page. Basic low-level vacuum prep would entail degreasing, addition of blind holes and using a vacuum-compatiable grease. Higher-level vacuum preparation could involve the basic prep, plus possible material substitutions and other modifications to the stage. 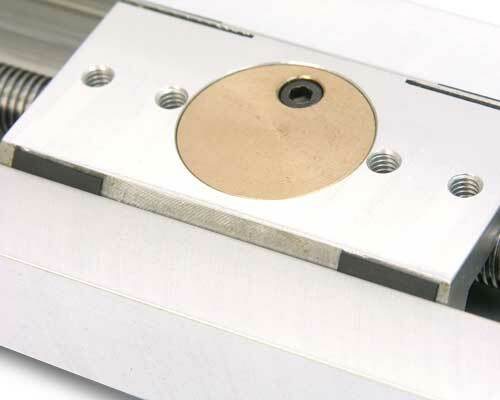 Velmex positioning devices can also be modified for specific applications such as food processing or medical applications, as well as address non-magnetic requirements. Please talk to a Velmex Application Engineer, if you have a vacuum or other special environment application. To create vacuum-capable or special application Velmex UniSlide®, BiSlide® or XSlide™ Assemblies, we need to know the vacuum TORR rating, your outgassing tolerance and the environment that the slide will be subjected to. The table for each Velmex brand outlines the material substitutions and modifications that can be made to the various assemblies. For additional information on stage composition, tolerances, wear and design for specialty applications, please refer to Properties of Velmex Stages. Secured with screws, not adhesive. Omit all grease. Substitute your lube. Add bleeder holes. Use vented screws.